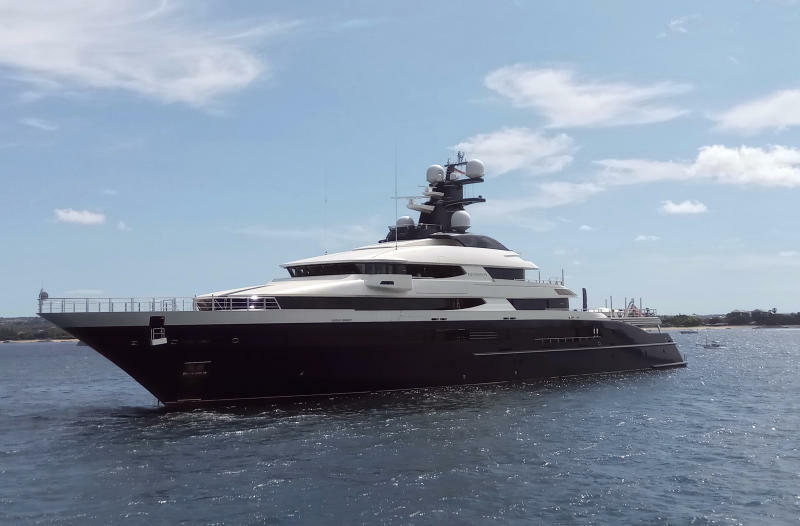 KUALA LUMPUR, Malaysia (AP) — Malaysia's government said Wednesday that a luxury yacht allegedly bought with money stolen from a troubled state investment fund will be sold to casino operator Genting Berhad for $126 million, half its original price. Former Prime Minister Najib Razak set up 1MDB when he took power in 2009, but it accumulated billions in debts. The 1MDB fiasco led to Najib's shocking electoral defeat last May and ushered in the country's first change of power since independence from Britain in 1957. Najib and his wife have been charged with multiple counts of corruption and money laundering and both have pleaded not guilty. Najib's first corruption trial began later Wednesday. The Equanimity was built in 2014 by the Dutch yacht manufacturer Oceano, which received detailed instructions from Low about its outfitting, according to the Justice Department's asset recovery case. The new government has said that corruption by Najib's administration caused national debt to pile up and that the yacht was being sold to recover as much money as possible.